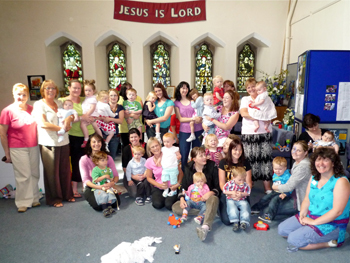 See and Know is a Christian based Parent & Toddler Group with singing, crafts and Bible teaching especially for pre-school children and their parents or carers. It runs on a Tuesday morning, in the church building, from 9.15 am to 11.15 am. Parents and carers can arrive to share in tea and toast while their children play with the toys. During the morning the themed session looking a particular aspect of the God of love will be explored.